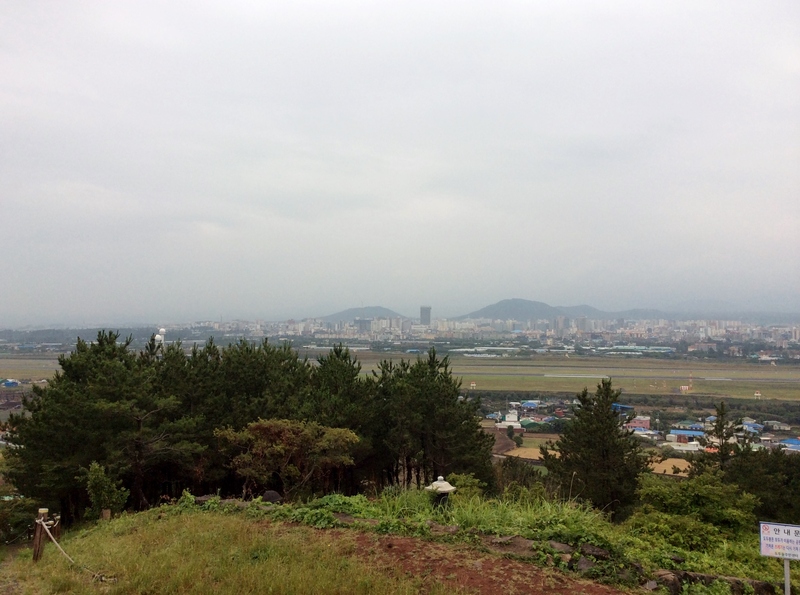 Dodu-Bong, which looks just like one of typical hills numerous in Jeju, is famous(a bit) for its view of Jeju city. 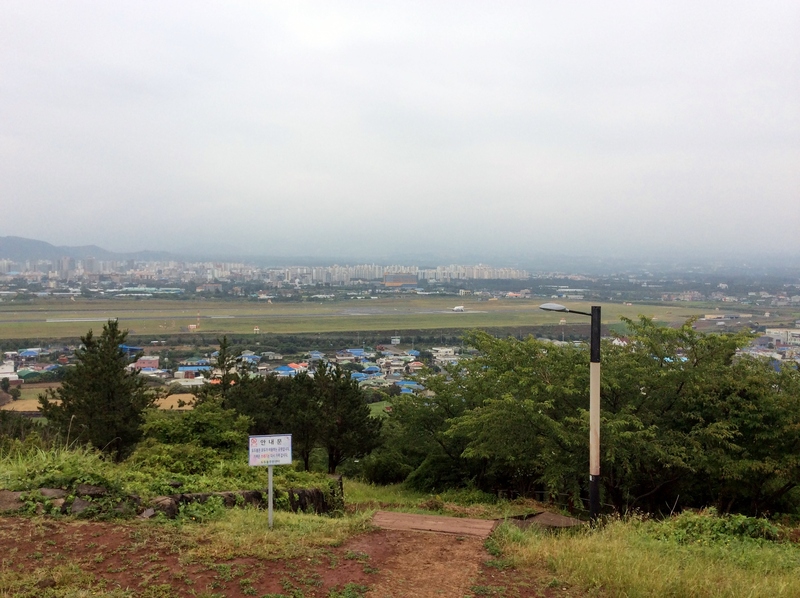 Located right behind the airport, Dodu-Bong is easy to access. 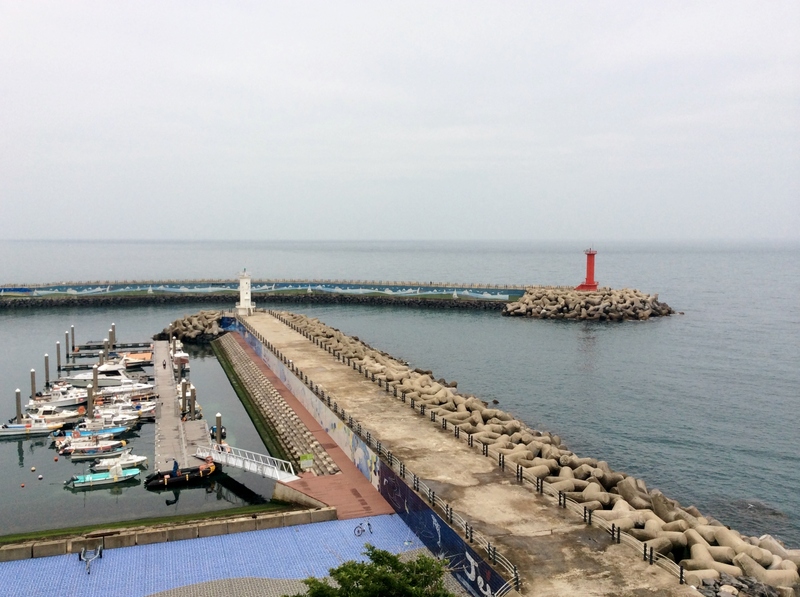 Its proximity to other favorite tourist destinations such as Iho beach, Dodu Seawater Public Bath and Yongduam is also good for tourists who wish to visit Dodu-Bong without wasting too much time on the roads.On the top of Dodu-Bong, you could see the whole Jeju city from Gujeju to Shinjeju. 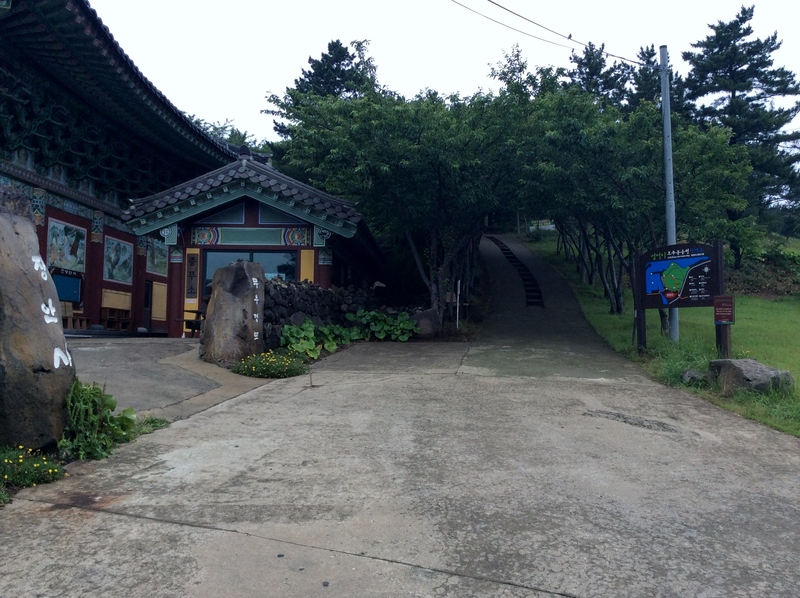 You can also take a look at a traditional Korean temple located at the entrance of the Dodu-Bong. 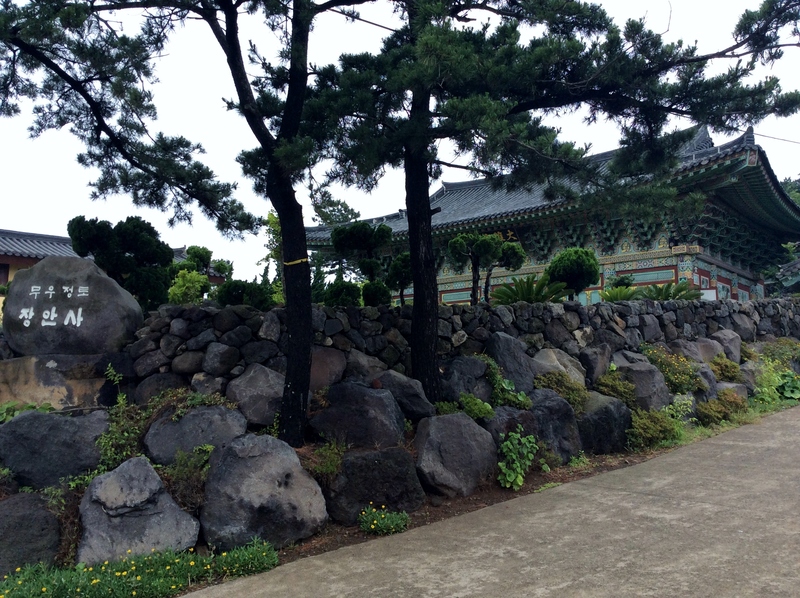 Just next to the Dodu-Bong, a Temple Jang An could be seen. Anyone could enter it. 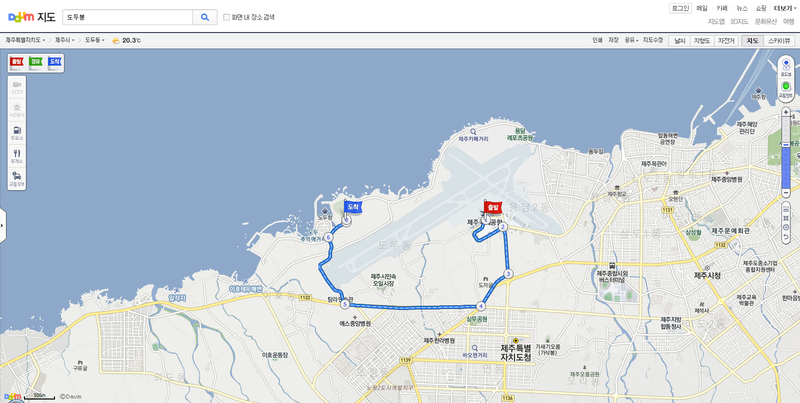 After a 10 minutes’ short walk, I soon arrive at the peak of the low hill. 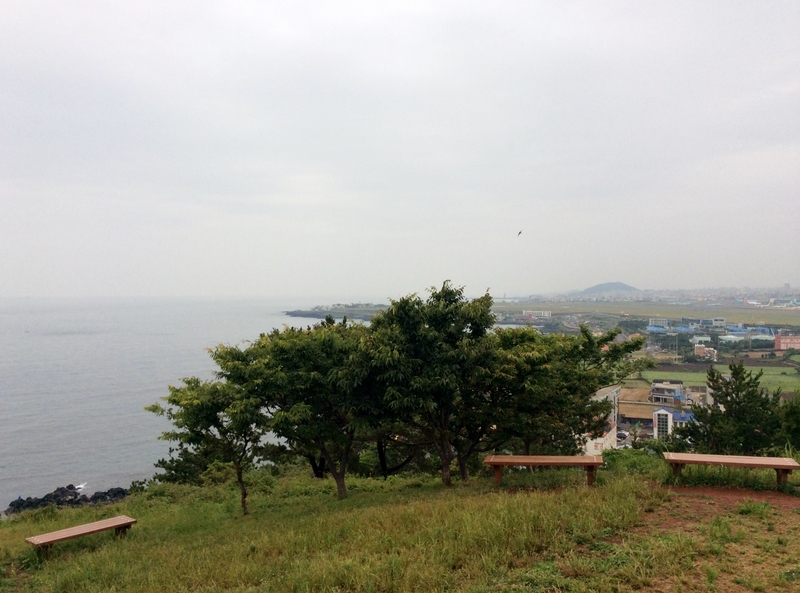 But despite its height, I could see the whole Jeju city at the top of the hill. 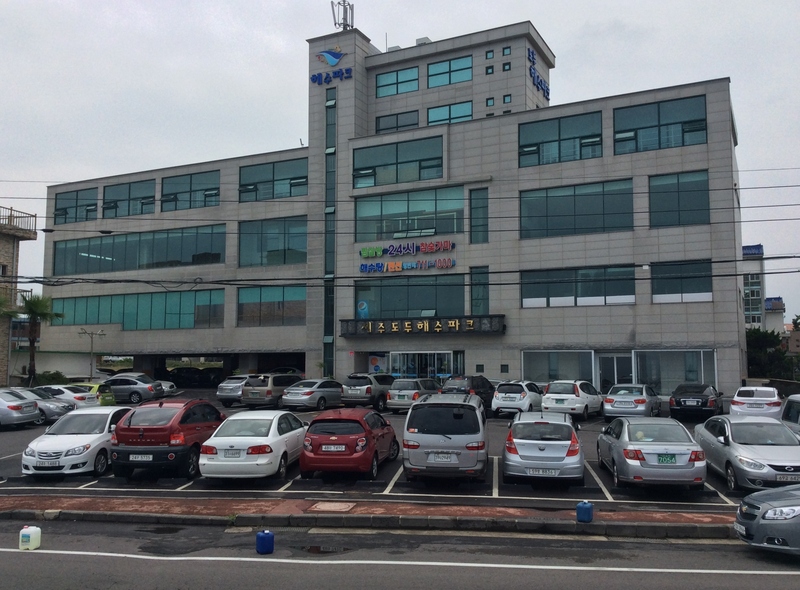 As it was early in the morning, no one besides me was there. Since looking around Dodu-Bong will take only about an hour, people who are planning to visit Iho beach and seaside cafes, or Dodu Seawater Spa should put Dodu-Bong in their bucket list. 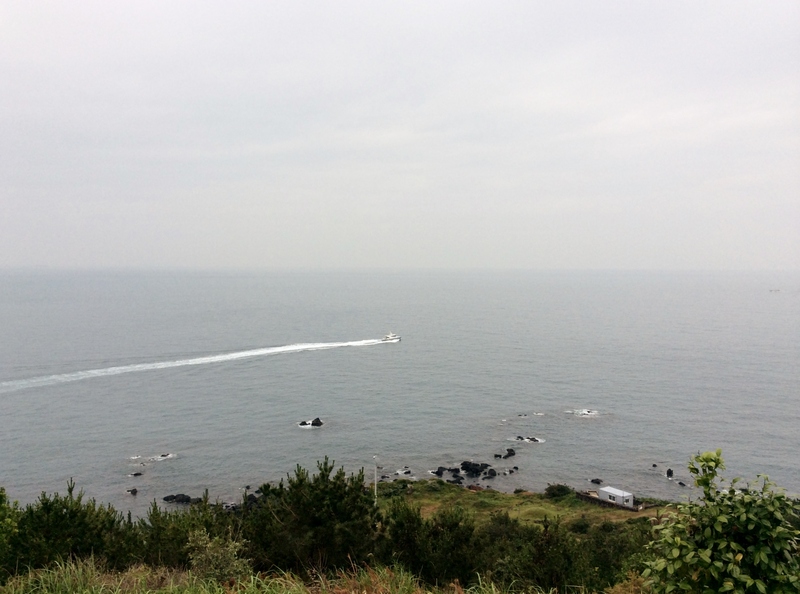 You’ll enjoy the view of the Jeju city with 10 minutes’ walk!